While not officially shown as such on Steam, the city-builder Endciv now has a Linux build up for testing. It arrived last week, although it came across some Unity bugs with it not being given a resolution. After speaking to the developer about it, that's now sorted and it runs. In a world where civilization suffered from various disasters, a group of people lost their shelter and are now on the search for a new place to live. Help these people to survive in the wastelands. Explore the unknown environment to find shelter and a supply of food and water for the early days. Your foremost duty is to avoid dehydration and starvation at all cost. Enjoy a detailed simulation. Water can be scarce and food rots over time. During the game you also have to manage energy, agriculture and labor and each aspect relies on certain real world conditions such as rainfall and wind. 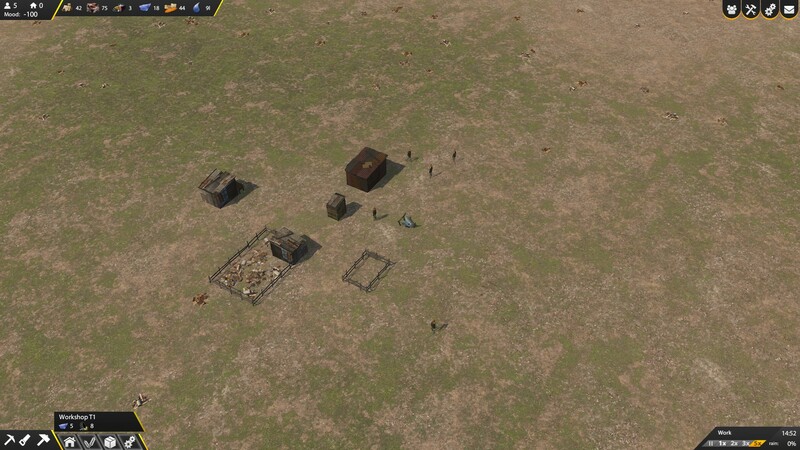 Lead a successful settlement. Acquire a fortune of goods, keep your citizens satisfied and improve the daily routine with new technology and resources. Then your reputation will rise and strangers will take notice. You will be visited by nomads who want to join your tribe and merchants who want to offer a trade. It's currently in Early Access and it's far from finished. The developer ended up re-doing a lot of the game, as they said many parts of it just didn't work like they wanted it to. With that in mind, what's there now is pretty basic (that's being kind) but it's nice Linux support is in and working now. I will keep coming back to take a look with each major release, to let you know how it's progressing. Their current goal is to release in full next Spring. You can find it on Steam. On Steam they only mention Windows. Does the Steam version run on Linux yet?